Annie Oakley | Take Back Halloween! Annie Oakley (1860-1926) was born poor, and originally took up shooting as a way to feed her family. Her incredible skill eventually made her the star of Buffalo Bill’s Wild West Show and an international sensation. She could hit any target, it seemed, no matter how tiny. She could shoot the heart out of a playing card, or, if the card was held sideways, split it in half. She could shoot the ash off a cigarette and the cork out of a bottle. She could shoot upside down, backwards, looking over her shoulder in a mirror, anything. And she was consistent: one of her fellow sharpshooters said it was simply impossible to beat her. She was like a machine. 1. 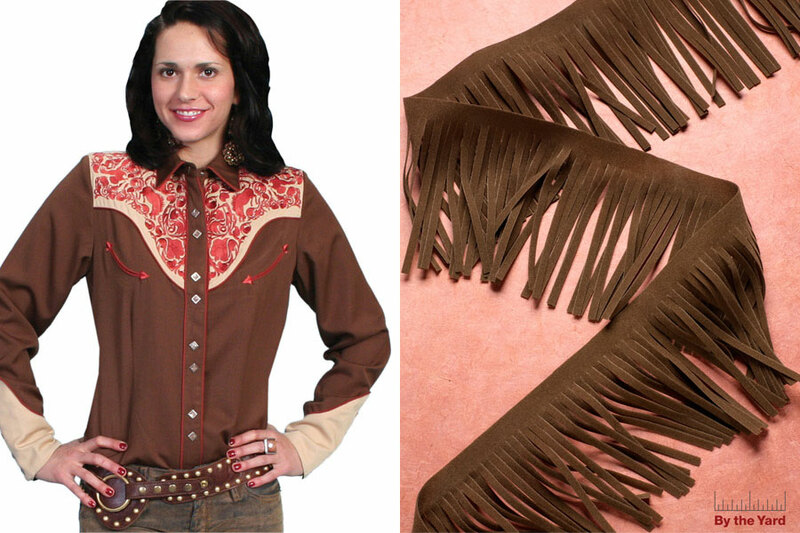 Scully western blouse in brown plus optional brown suede fringe. The blouse is also available here and here. 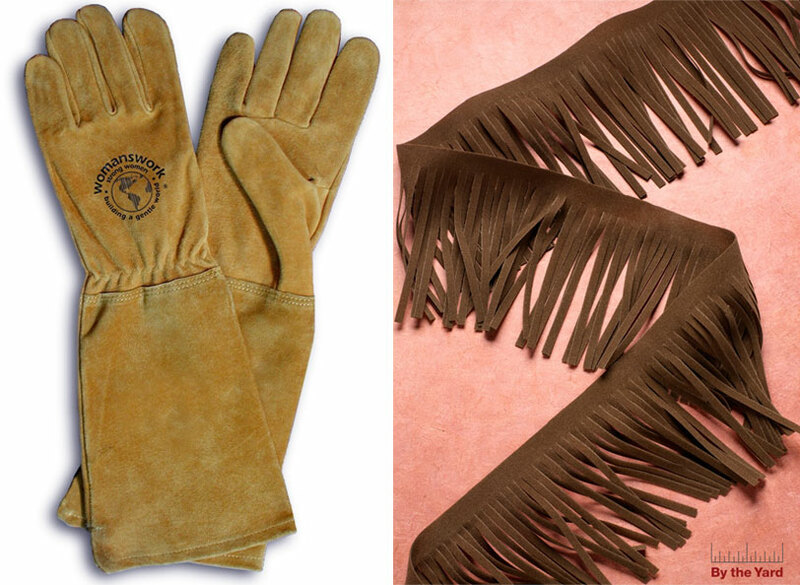 The only thing we suggest you add to it is a little bit of brown suede fringe, which we also use on the gloves (next). 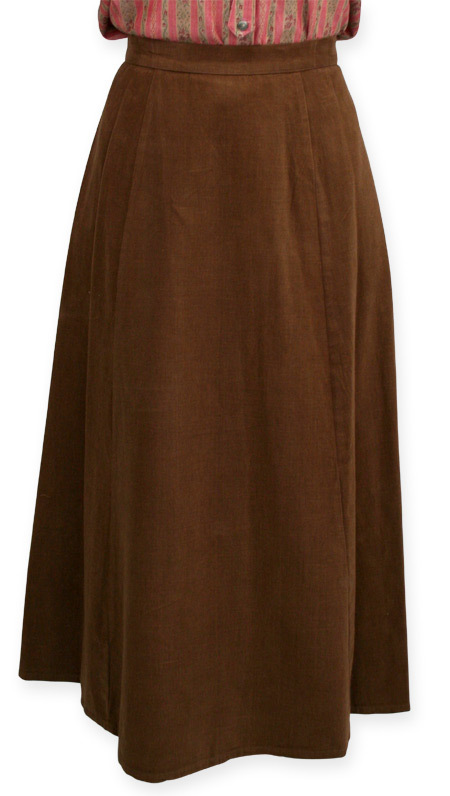 It’s not required, but it does help tie it all together and make it look like one of Annie’s outfits. Use Res-Q tape or Aleene’s Tack-It Over & Over to temporarily attach a row of fringe to the collar. We added a little bit of fringe at each shoulder for good measure. 2. Womanswork gauntlet gloves plus optional brown suede fringe. Glue a strip of the suede fringe to the gauntlet seam to give these garden gloves some western flavor and help tie them in with the blouse. Alternate gloves, slightly cheaper: Angela’s Garden gauntlet gloves . 4. 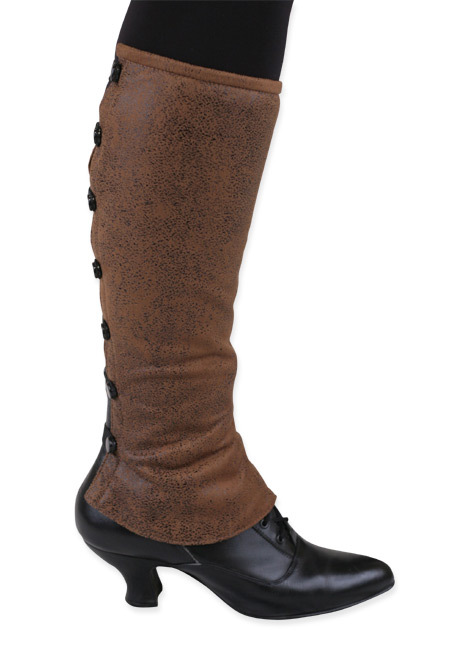 Brown faux leather gaiters. 5. 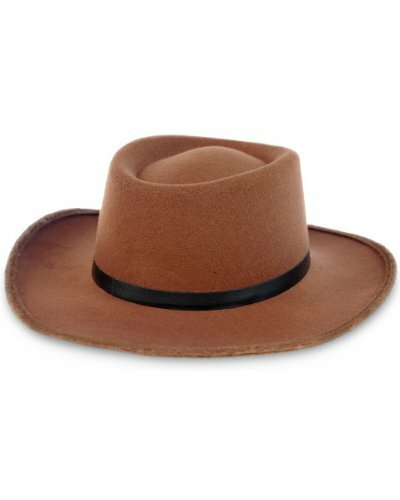 Brown felt gambler hat by Jacobson . Also available here. 6. 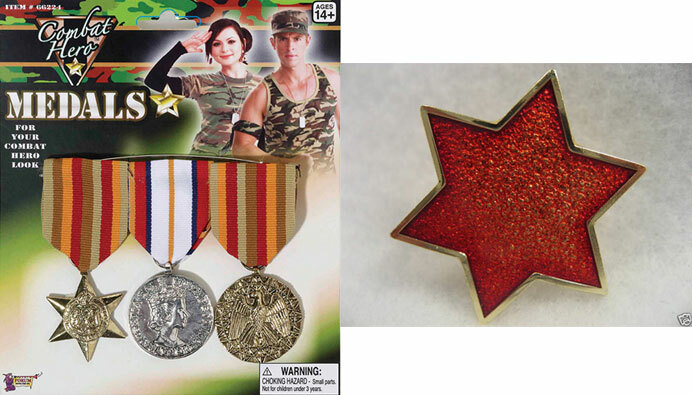 Costume medals and red star pin (also available here ). 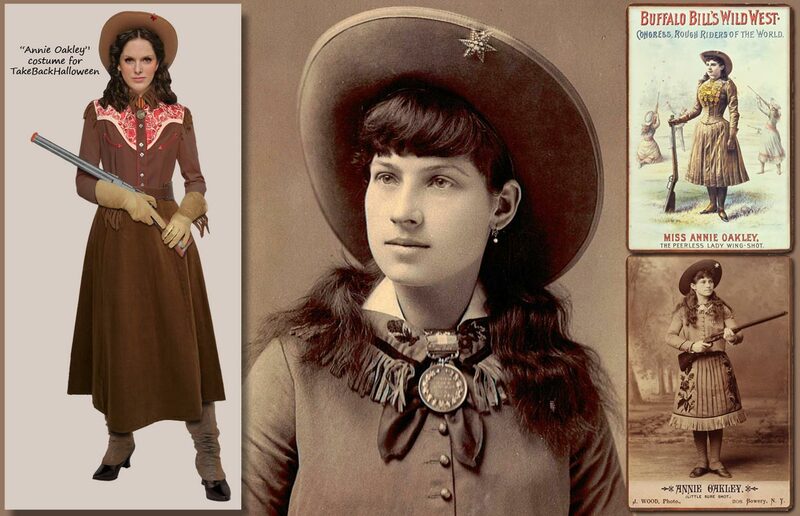 Annie Oakley was famous for wearing a six-pointed star on the upturned brim of her hat. Gold or silver would be great, but we chose this Army surplus red star pin because it looks good with the blouse. Annie also liked to wear her shooting medals. We chose to use one medal pinned at the collar where a necktie would be, just like Annie is wearing in the big studio portrait in our main illustration.